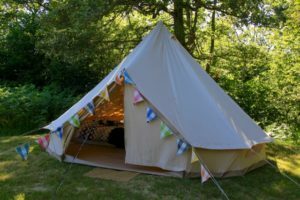 Bell tent (glamping) – Sleeps 4. 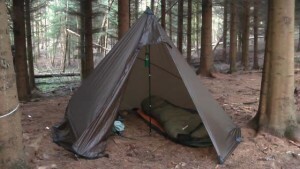 Double bed and bedding supplied + 2 x camp beds supplied, electricity points inside the tent. Bring own sleeping bags for all additional people other than double bed occupants or call us for sleeping bag hire. There is a small super-market (Intermarche) 10 minutes away by car in Felletin. 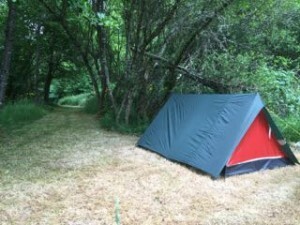 This option allows you to use one of our small 2-person tents at various locations on the land. 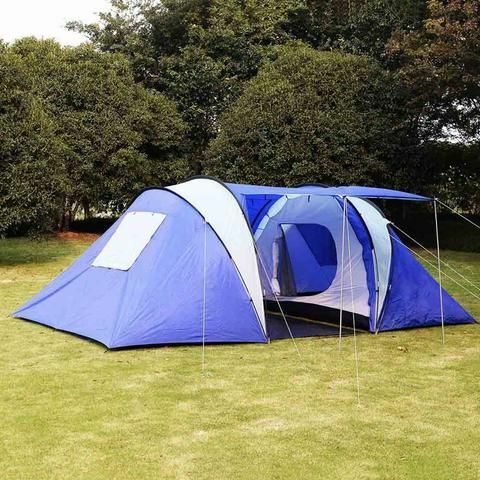 These tents are pre-pitched although it’s your location choice on booking. 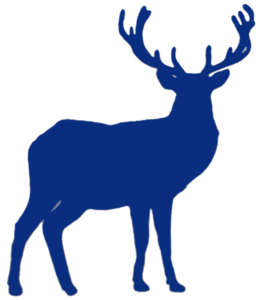 We will provide you with a sleep mat but you should bring your own sleeping bag (or contact us to hire one.) 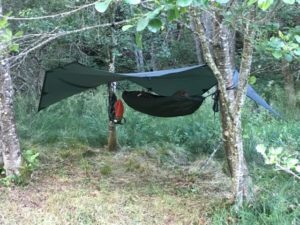 Alternatively you can use one of our hammock and tarp sets-ups for the ultimate wildcamping experience. These options are self-catering. 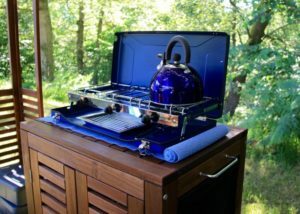 We can provide basic cooking equipment on request. If you want to bring your own gear, or you have a self-contained vehicle you are welcome to come along. Just select “bring your own gear” in the menu option. The benefit of this is that you can select any area on the land and pitch your tent, lay down your bivvi or hang your hammock where it suits. Vehicles will be located on the Plateau or top car park.